Make the most of spring by trying out some of these vegan recipes by freelance writer Sara Upton. Light, easy to make and bursting with wholesome plant foods...what's not to love? Now that spring is upon us, it’s time to switch up our meal plans and start eating some different foods. This means putting away all of the ingredients we've been using over the winter—stashing them in the closet just like we do our thickest winter sweaters—and starting to use some of the plant-based ingredients that are freshest this time of year. With that thought in mind, here are a few spring-inspired vegan recipes for side dishes that will have your taste buds going “Mmm…”. To make this simple spring salad, just mix all of the vegetables together in one bowl and all of the spices, juices, syrups, and oils together in another bowl. Once they’re mixed well, combine them and place in the fridge for an hour to get the salad nice and cold. Bake the sweet potato until tender (approximately 40 minutes at 400 degrees), remove the skin, and place it in a blender. Add the milk, broth, and salt and blend until smooth. When you serve it, you can even add chopped tomatoes, chives, and green onions on top! 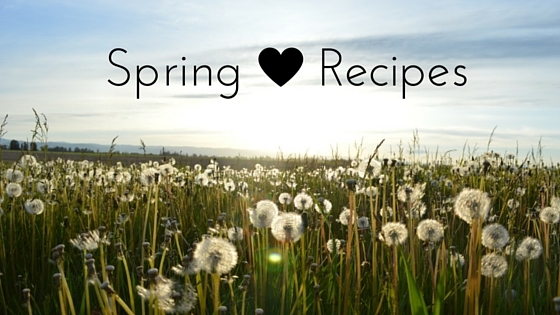 All of these are great ways to celebrate some of spring’s most treasured treats. However, if you don’t have time to put together side dishes like these, you can always juice your favourite springtime veggies, enabling you to enjoy all of their nutrients and goodness without having to prepare a full meal. No matter which spring options you like best, the key is to find the ones that satisfy your taste buds most. That way, you'll get the most from the ingredients that are freshest this time of year. But also, don’t be afraid to try new ones. Who knows? You may just find one that you love, even though you didn't realise it!